Belvedere Designs: Why Do Quotes Inspire or Motivate Us? Why Do Quotes Inspire or Motivate Us? Famous quotations come from all sorts of places, people, and circumstances and cover all kinds of topics and issues. We use them to pick ourselves, to motivate ourselves and others, to express our deepest feelings and best ideas, and to prove a point. Familiar quotes often become mantras we follow for the rest of our lives. They can be powerful and inspiring, moving and motivating. But what is it about them that makes them so reflective of us and our values? Homonyms are words with similar pronunciation, but very different meanings (think stalk or left, for example). A homonymic phrase then is a saying that relies on the double-meaning of an idea or word that then elicits a strong response (often like the punch line of a joke). 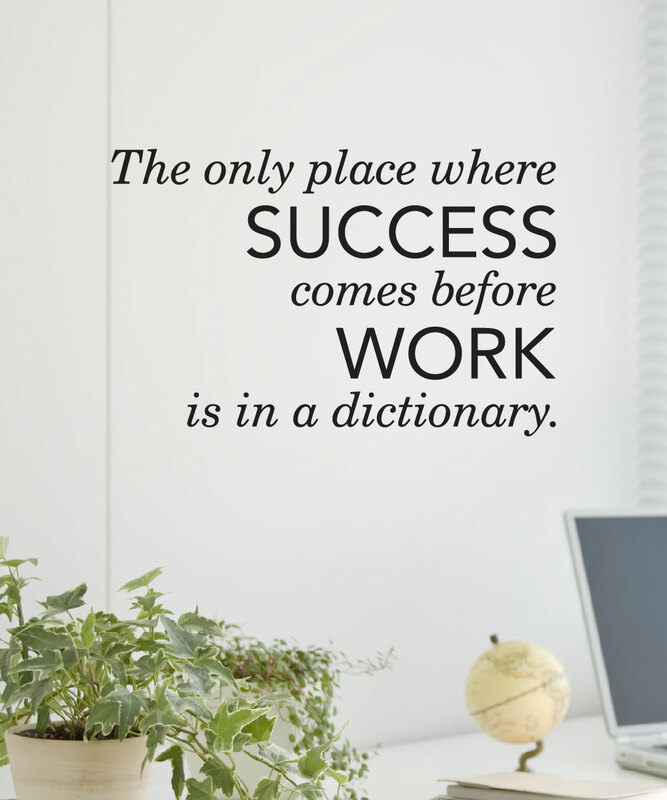 For example, one of our Office Wall Quotes designs uses this text: “The only place where success comes before work is in a dictionary.” This phrase inspires because it is accurate on multiple levels; success certainly does come before work, “s” definitely occurs before “w” in the dictionary, and no one can be truly successful at anything if they don’t put in the work first. Because these kinds of quotes are a play on words, they stick with us. And because they also ring true to our known values and ideas, we feel we can apply it to ourselves, creating self-efficacy, or our belief in our own ability to succeed. This also contributes to the quote’s “staying power” and why we continue to remember it. Sometimes phrases are structured as instructions with a heavy use of verbs. 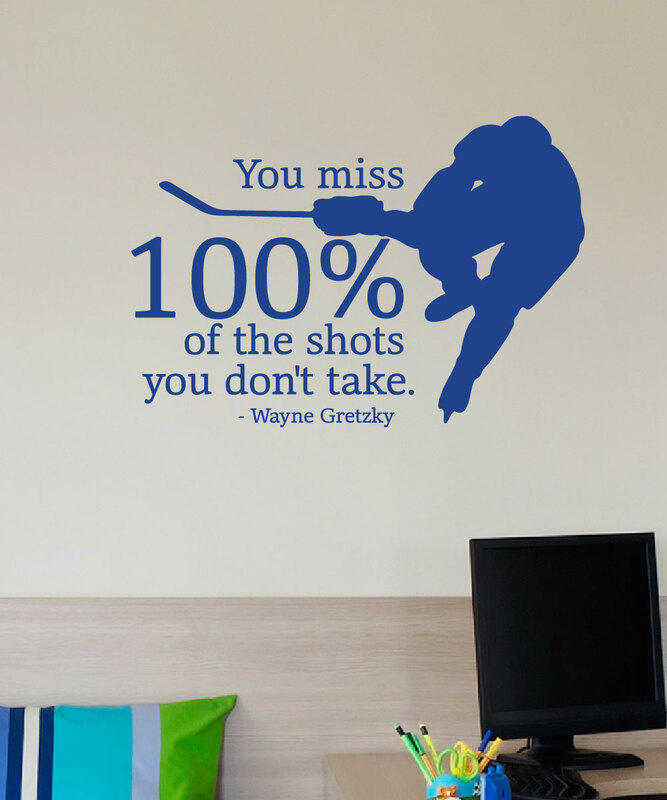 This is especially the case for many of our Sports Wall Quotes designs. When a trainer coaches a team or an individual, he issues commands over and over to push them and to remind them of their goals and the victory that awaits them if they’ll work hard for it. 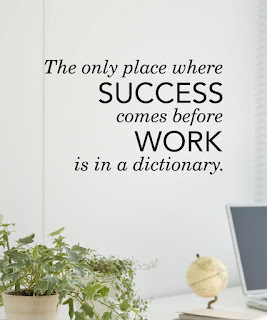 Quotes like “Work. Sweat. Achieve.” and “Don’t limit your challenges, challenge your limits” work because they mimic the coaching experience with strong, imperative verbs. We humans are aspirational creatures. We want to be the best at what we do and we choose role models and leaders among those who are the best at what they do. 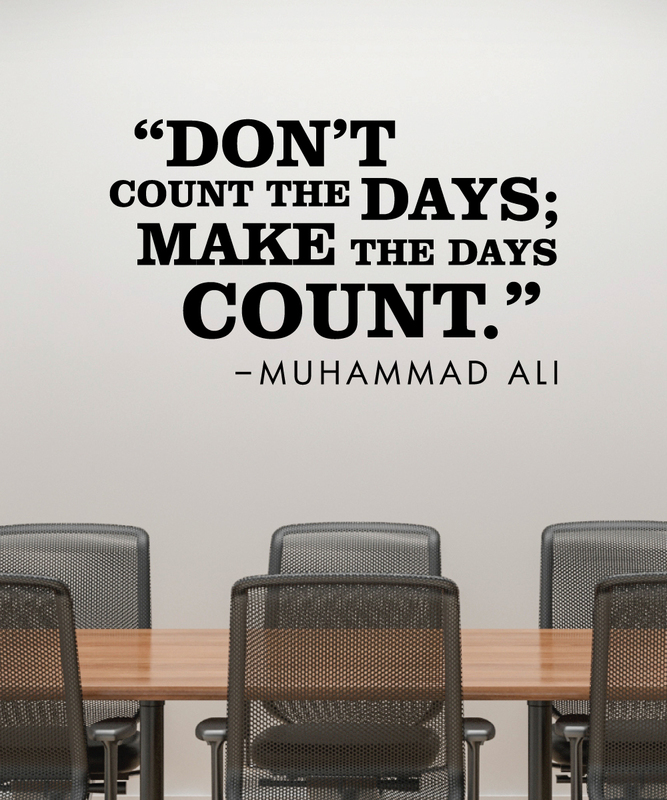 Quotes that come from great political leaders and sports figures hold a lot of weight because of their experience. Their accomplishments and experience have earned them the right to offer advice. Additionally, phrases and sayings attributed to someone with a recognizable name resonates more with us than those that don’t. One of our Sports Wall Quotes designs, “You miss 100% of the shots you don’t take” is pretty inspiring on its own, but it’s even more powerful because it is Wayne Gretzky, an NHL hall of famer, who said it. 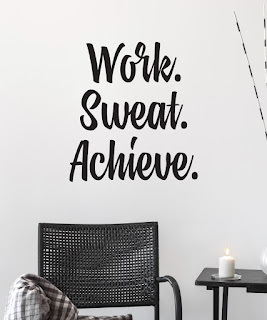 Whether it be in a corporate boardroom, kids’ bedroom wall, kitchen, or living room, quotes can motivate and change how we think and how we see the world around us. Vinyl wall decals are one of the very best ways to display those quotes that mean the most to you and your family. They’re affordable, easy to install, and offer a big impact in any room. 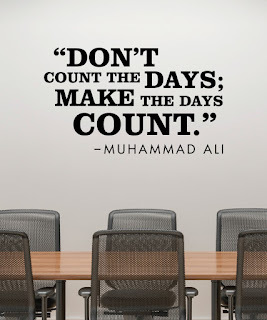 Choose from our well-curated collections, or design your very own quote at wallquotes.com.